Dubuque Fighting Saints forward and University of Notre Dame commit Alex Steeves wins the 2018 USHL Scholar-Athlete Award. 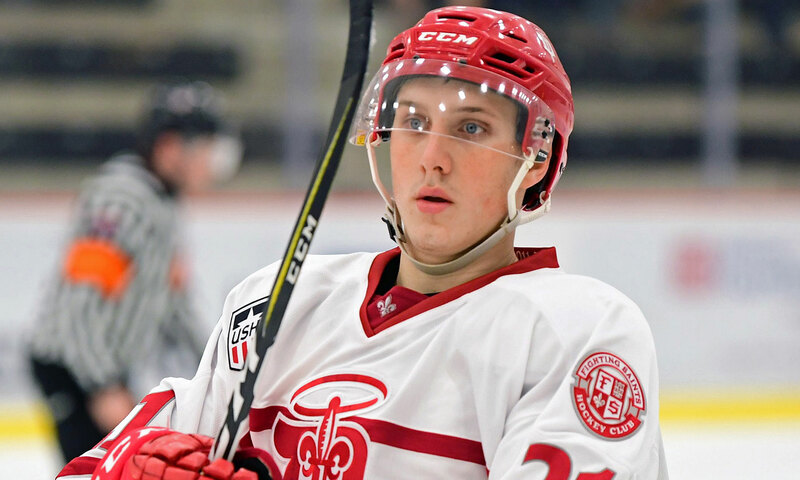 The United States Hockey League announced today that Dubuque Fighting Saints forward Alex Steeves has been named the recipient of the 2018 USHL Scholar-Athlete Award. Steeves completed his second season with the Fighting Saints and third overall USHL campaign in 2017-18. The Bedford, NH native has excelled both on the ice and in the classroom. Steeves is set to graduate from Dubuque Senior High School, where is he currently ranked 16th in his class of 398 with a 4.1 cumulative GPA. He has earned an A in every class he has taken throughout his four years of high school, including his two years at Dubuque Senior High, the 2015-16 school year at Sioux City East High School when he was a member of the Sioux City Musketeers and the 2014-15 school year at his hometown Bedford High School. "Alex has maintained a high GPA and has taken challenging course work to include both honors and AP classes," said Angela Haller, a counselor at Dubuque Senior High School. "His academic achievements are impressive. Alex has a very bright future." The University of Notre Dame commit spent a lot of time in hockey rinks this season, but was able to balance the the travel, time commitment and on-ice work to still produce quality results in the classroom. In addition to his tremendous season with the Fighting Saints, including helping Dubuque to the Clark Cup Playoffs for the eighth consecutive season, Steeves was named to the 2018 USHL/NHL Top Prospects Game and added an assist to help Team East to a 4-3 victory over Team West. He was also ranked 86th among North American skaters in April's NHL Central Scouting Final Rankings. He finished the 2017-18 season with 57 points (20G, 37A) in 55 games to lead Dubuque and finished seventh among all USHL players in scoring. He also recorded six points (2G, 4A) in five Clark Cup Playoffs games. Steeves is the first-ever Dubuque Fighting Saints player to receive the USHL Scholar-Athlete Award. 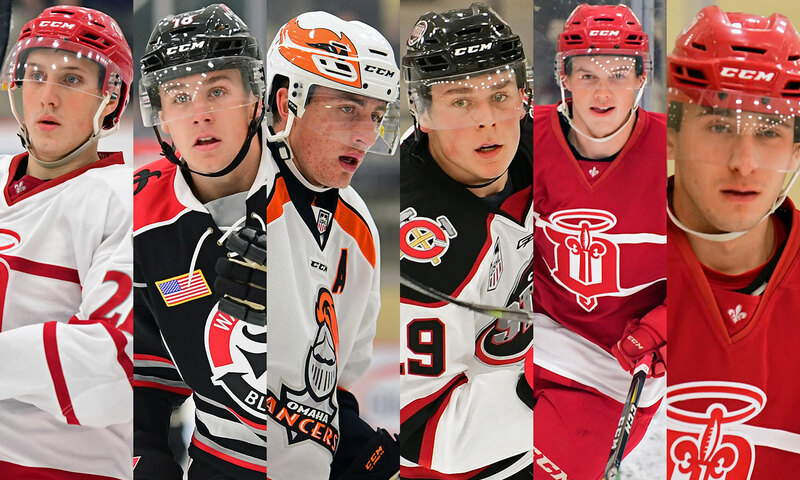 In addition, the USHL announced the six players to be named to the USHL All-Academic Team. All six players are committed to play college hockey, including two schools (Harvard, Michigan) that have multiple commits represented.